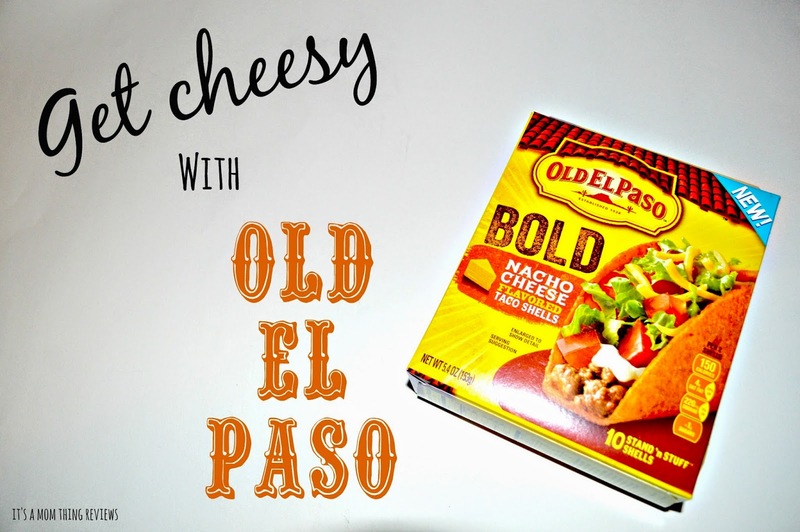 *I received all reviewed Old El Paso products for free for review purposes and received no monetary compensation for this post. Have you heard about the new Bold Nacho Stand 'N Stuff taco shells from Old El Paso?! If you haven't than you need to find them in your local grocery store! We love taco nights here and with these shells they just got cheesier! These shells can be used for more than just tacos though! Keep reading to find out the other tasty way that I used these shells! We love tacos and we love ways to spice up our dinners, so we were super excited to try out these new Bold Nacho Stand 'N Stuff taco shells! These new shells are the perfect way to add even more cheesy flavor to your tacos and kick up taco night! My husband and younger sister loved these taco shells. They kept raving about how much cheesy flavor it added and how tasty they are! With these new shells I wanted to try something fun for dinner! After some brainstorming I decided to do something that I am pretty well known for in my home, taking random things and using them as a coating for chicken. To make this recipe fun I also made a green pepper and cilantro cream sauce to top the chicken with! This chicken was delicious and so simple. To make the coating for the chicken I simply put the shells into my blender and blended them into crumbs. Next I put them on a plate, covered the chicken with them, and baked the chicken for about 25 minutes at 350 degrees. After eating this dinner I was thinking about how I would love to make this again and cut the chicken into pieces to put over salad and use the sauce as a dressing. Yum! taco shells be sure to grab a coupon HERE! Visit Old El Paso's WEBSITE! "Like" Old El Paso on FACEBOOK! "FOLLOW" Old El Paso on TWITTER!